The Golden Dome is only part of the experience. The University hosts visitors year-round for conferences, competitions, athletic events, and prospective student visits. In every instance, we hope the pride we have in this place is on display in everyone who greets our guests on campus. ND Gameday has information on visiting campus for Fighting Irish sporting events and special events. Go Irish! 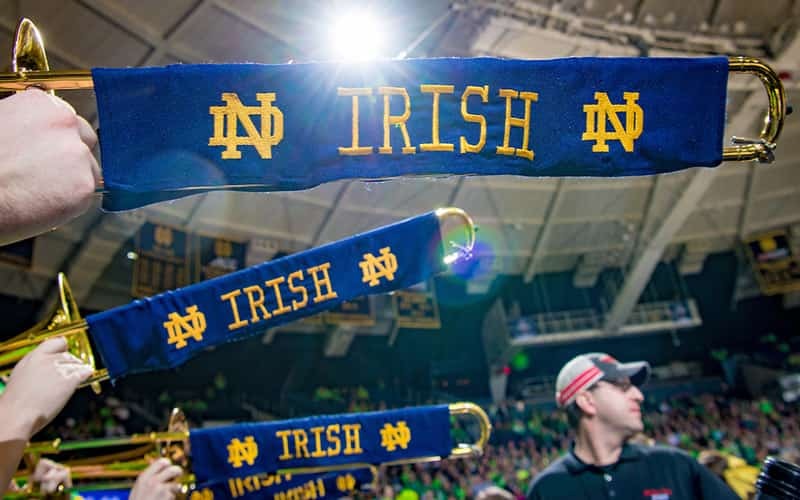 South Bend International Airport is about 15 minutes by car from the Notre Dame campus (flights should be booked to South Bend, Indiana — airport code SBN). Various transportation methods are available (e.g., taxi, rental car, limo). Visitors also can fly into Chicago then drive or take a bus to Notre Dame. The University is about two hours by car from Chicago’s O’Hare International Airport and about 90 minutes from Midway International Airport. Coach USA maintains a bus shuttle several times daily between campus and both Chicago O’Hare and Chicago Midway airports. The South Shore Line trains run directly from the Chicago Loop (at the corner of Michigan and Randolph) to South Bend International Airport (about a three-hour trip). From the airport, the Notre Dame campus is approximately a 15-minute ride by car. Various transportation methods are available (e.g., taxi, rental car, limo). VenueND provides clients assistance with everything from conferences and meetings to weddings and special Notre Dame experiences. Services include venue bookings, event planning, registration assistance, personalized consulting, on-site event support, and more.